Some jobs are best left to the experts. 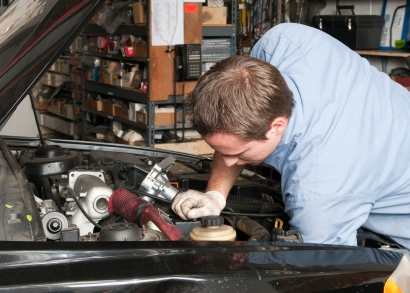 There’s a rush of satisfaction that comes with successfully completing a minor procedure on your car. And doing basic maintenance work like filter replacement, oil changes and even spark-plug swaps can save you some cash. However, there are certain jobs that are best left to the experts. Certified technicians spend countless hours in both the classroom and at work honing their craft; they're like doctors for cars. You wouldn't try to treat serious health problems at home, right? Here are five automotive challenges that are better left to the experts. Wiring harnesses are the brains of modern cars, sending electrical signals to and fro at a dizzying rate. If a connection in the harness comes loose, or the wire insulation breaks down over time, all sorts of strange maladies can afflict an otherwise healthy vehicle. Tempted to consult a wiring diagram and dig in yourself? Here's the real question: How much do you depend on this particular car's services? If it's a project car or a pleasure cruiser, we can see the appeal of DIY. You'll likely learn a lot, and there's something to be said for knowing how your car is wired. But if there's even a slight chance that you'll need the car for transportation in the near future, don't bother. Seriously. Wiring harnesses are notoriously finicky, and when something's amiss in there, expert knowledge is usually required. Plus, if you make a mistake, you could further damage the harness, or even ruin it. There are essentially three levels of air conditioning repair, and even the first level gives us pause. If your A/C is on the fritz, your local auto parts store will gladly sell you a DIY refrigerant top-off kit – that's level one. But do you really want to get up close and personal with a hazardous material if you've never done so before? For some light DIYers, the buck's going to stop right there. Suppose you're okay with that, though, and you find that the top-off isn't a lasting solution. Next up is the evacuate-and-recharge procedure, which requires removing any existing refrigerant before charging the system back to factory specs. Got a vacuum pump handy for the removal? If not, you're looking at $200 or more just for the pump. 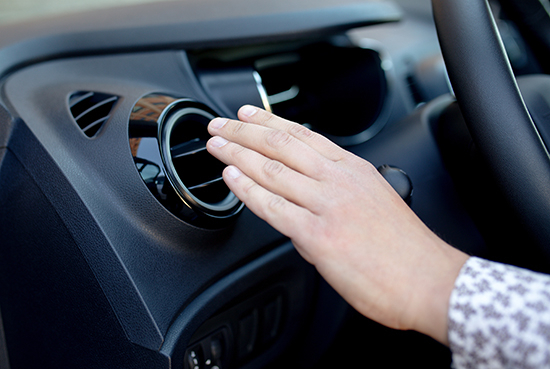 Finally, your poor A/C performance is almost certainly related to a leak or malfunction within the system, which could very well require dismantling the dashboard to access. Even seasoned DIY'ers are often reluctant to tackle that kind of job. Here's a better idea: get a comprehensive diagnosis from your shop, often provided for free or a nominal fee, and then decide whether it makes sense to go this one alone. Nine times out of 10, you'll be better off paying that shop to do the job right. One word: Bondo. Look, we're sure there are some true DIY Bondo artists out there, but for most of us, the B-word means a shoddy fill and poorly matched paint. Of course, shade-tree solutions of this sort can seem like necessary evils when funds are tight. But if you can afford a professional's services here, you're going to be much more satisfied with the results. For minor to moderate dents, we recommend Paintless Dent Removal (PDR), a growing industry in which providers bring well-stocked work vans right to your doorstep. In many cases, PDR merely entails some strategic tapping on the affected body panel, with no paintwork required and quite reasonable prices. If the PDR team can't handle it, however, you almost certainly can't do it yourself, so be prepared to visit your body shop, or live with the damage till you're ready for the potentially hefty bill. Here we're talking about a common procedural step rather than a specific repair. If you're doing suspension work, you might find that it's as simple as taking out a few bolts. But if spring removal is required, you'll definitely want to think twice. In order to take a spring out of its housing, you need to compress it with a device called (surprise!) a spring compressor. 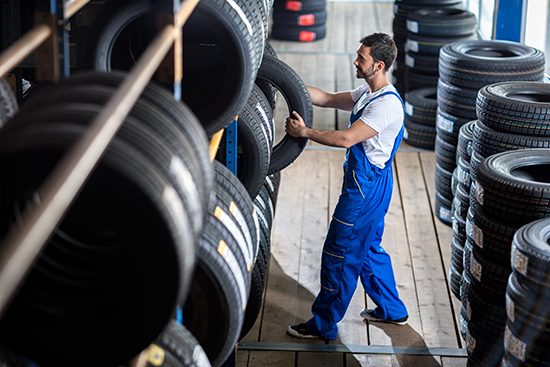 First of all, that means finding a compressor that's large enough and strong enough to handle your springs; some manufacturers tend to use industrial-grade springs that are too robust for a standard compressor to handle. Even if you've got a suitable compressor, you'll still have to handle the compressed spring from start to finish, and that can be a harrowing experience indeed. If you don't secure the compressor plates properly at any stage, the spring can come loose and slingshot forward with terrifying force. In all seriousness, people have been maimed or killed this way. Why take the risk when you can pass the baton to a professional who's done it hundreds of times? If you don't have prior experience with a spring compressor but want to forge ahead anyway, visit your experienced technician who can guide you through the process. Here's a rule of thumb: if botching an unfamiliar repair means you won't be able to start the car afterward, that's a strong indication that you shouldn't DIY. And you clearly won't be starting the car without a functional ignition system. The risk of failure for this kind of job has actually increased with the advent of modern electronic ignition systems, because it's no longer as simple as pulling a spark plug wire and looking for a spark. If you do that today, you'll find yourself face-to-face with perhaps 50,000 volts of electricity, which isn't something your doctor would approve of. The simple fact is that electronic ignition repair lies beyond the abilities of most shade-tree mechanics—and if you start monkeying around with sensitive electrical components, you can easily cause additional damage. So if your engine isn't running properly and you suspect a fault in the ignition system, we wouldn't recommend any DIY remedies beyond maybe changing the spark plugs. Instead, take the car to a mechanic who's equipped to evaluate your make and model, knowing that you'll at least be going home with a specific diagnosis. Sometimes the hardest part of being a DIY'er is knowing when to swallow your pride and ask for help. We're not saying you absolutely shouldn't take on any of these jobs, but if you lack the experience to back it up, don't be afraid to call in the reinforcements.